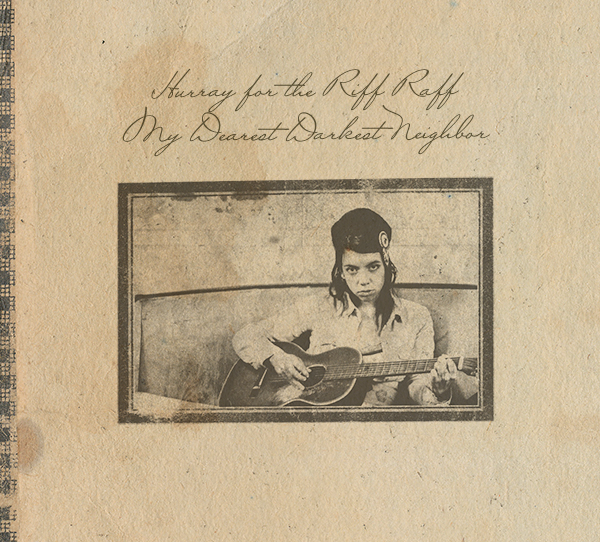 This week marks the release of My Dearest Darkest Neighbor, the latest release from Hurray for the Riff Raff. 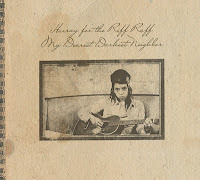 Lead by Alynda Lee Segarra, Hurray for the Riff Raff have a blues-tinged indie folk sound that invokes a more stripped down Sallie Ford & the Sound Outside or Alabama Shakes. My Dearest Darkest Neighbor is a collection of mostly covers along with two originals. The songs run the gamut of influences, from the more obvious folk and blues of Bob Dylan’s “Black Jack Davey” and Joni Mitchell’s “River,” to the classic country of Townes Van Zandt’s “Delta Momma Blues” and Hank Williams’ “I’m So Lonesome I Could Cry.” She also has more contemporary influences like Gillian Welch’s “My Morphine.” The tracks drawing the most attention are her pair of solo Beatles covers: John Lennon’s “Jealous Guy” and George Harrison’s “My Sweet Lord.” The fact that on her previous album, 2012’s Look Out Mama, she had a song titled “Ode to John and Yoko” shows that she wears her love of The Beatles proudly. Segarra has said, “These are my attempts at the folk tradition of writing a song where someone else left off,” and it works. Each song is arranged in a way that makes even the most familiar uniquely her own. Check out their cover of “Jealous Guy” below, as well as current tour dates which include a Saturday slot at the Newport Folk Festival. You can also find their website here and My Dearest Darkest Neighbor on Amazon here.